Mid September we can see the long predicted collapse of Arctic ice is postponed for yet another year. The graph shows MASIE reporting ice extents above 4.5M km2 for the last two weeks. A dip on day 252 to 4.43M km2 will likely be the daily minimum for the year. The graph also shows that 2018 is presently close to the 11 year average ice extent, 233k km2 more than 2016, 266k km2 more than 2007, and 1M km2 (a full Wadham!) more than the record setting 2012. Interestingly, in September NOAA’s offcially referenced Sea Ice Index (SII) is showing more ice than MASIE, by about 200k km2. That means the SII September monthly result will continue the plateau in Arctic ice since 2007. As reported previously, the Northwest Passage through Nunavut was closed this year due to excessive and thick multiyear ice blocking the way. The chart below shows the conditions as of yesterday. It won’t get any better than this for yachts attempting the passage west, since more than 3/10 (green) ice conditions blocks their progress. A post at the Northwest Passage blog S/V CRYSTAL Escape from Prince Regent Inlet explains how the passage is closing. Breaking through the ice corridor, already close to the shore, we suddenly saw something unusual. Static ice so far began to flow very rapidly towards the shore! In this way he closed the road ahead of us and – which is much worse – cut off our retreat. We turned back and rushed to escape. It was the only option. We drove the gas to the top, and the free water in front of the bow disappeared in her eyes . Giant ice floes moved towards the shore like in a river stream. We jumped out of some of the channels with maybe a meter of side wall, and the path behind us disappeared after a few dozen seconds. Bottom line: They succeeded to get out and are now docked on Greenland coast. *Come to think of it Wadham’s recent burst of predictions (2015, 2016, 2017-18) resembles the behavior of rats undergoing extinction of their bar-pressing when reward is withdrawn – they too respond in bursts before giving up altogether. Interesting. I came to the conclusion that the decline in arctic ice cover had bottomed, or is even showing a slight rise since about 2006, independently when looking at the graph for monthly coverage on the NDSIC site. It’s absolutely amazing that this information is not being more widely disseminated. Time to start getting the word out guys! It will probably take until the Atlantic Multidecadal Oscillation goes into cooling territory before the Alarmists are forced to cry uncle on this. However on past form they will no doubt come up with an ingenious load of misinformation and twisted logic to obscure reality when that occurs. Thanks for the comment Andrew. 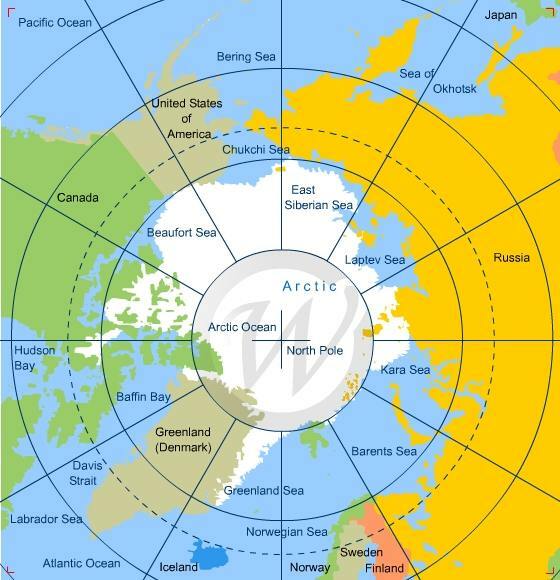 I have been for 3 years tracking and reporting on the plateau in Arctic ice extent since 2007. I have also been attacked for not analyzing the decline in ice prior to 2007, though that pattern is obvious to everyone. The lack of ice decline since 2007 is inconvenient and they prefer it hidden, especially as the Paris Accord goes into crunch time.